The Kasimanis Strawberry Farm dealing with fresh strawberry plantation and original jam, jelly, syrups and other products sourced from the farm-fresh fruits is a perfect spot to explore on your tour to the Cameron Highlands. Entering the farm, you will catch sight of the landowner’s mansions perched high up the hill slope. The two colonial bungalows are fortified by the metal gates and towering brick fences. Moving forward, you will see the raised platforms on which varieties of strawberries are grown. You will also get to see the different growth stages of the fruits, from buds to the ripe red juicy fruits ready to be plucked. Take a basket from the local vendor and start plucking strawberries of your choice and afterwards get them weighed. Enjoy tasting the shakes, juices, yogurt, ice creams and many other food items sourced fresh. 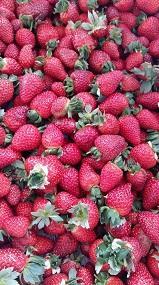 How popular is Kasimanis Strawberry Farm? People normally club together Sam Poh Temple and Cactus View Restaurant while planning their visit to Kasimanis Strawberry Farm. For those who wanted to visit a strawberry farm but less crowded you may to come to this place. One of the earliest strawberry farms in Cameron Highlands, having opened in the 1970s. Still a family run outfit. The owner there are very helpful in sharing you types of plants that are suitable for your planting needs. Very informative.